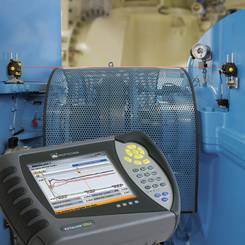 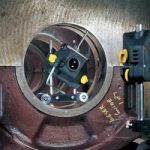 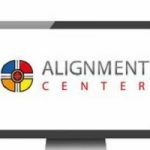 Cold alignment TARGETS may not accurately predict the actual operating condition of a running machine. 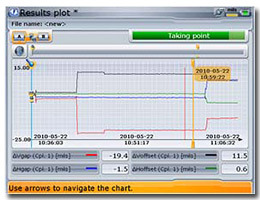 Live Trend is used to monitor movement of machines during run-up or coast-down phase, in order to determine the positional change over time and the influences of given events. 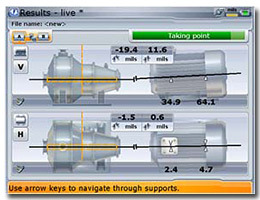 This add-on module runs on the ROTALIGN ULTRA platform and utilizes the unique 5-axis sensor to monitor CONTINUOUSLY, in real-time and simultaneously both the vertical and horizontal parallel and angular displacement of rotating machinery, from cold to hot condition or vice versa and hence determining the relative positional change between coupled machines during operation.